Do you have supervisors that employees either really like or refuse to work for them? Is 80% of your turnover with 20% of your supervisors? Is your turnover with those supervisors shortly after the employee starts their employment with you? How do you identify the problem supervisors? How do you fix this without undermining the supervisor? The black hole of turnover is the relationship between an employee and their immediate supervisor. 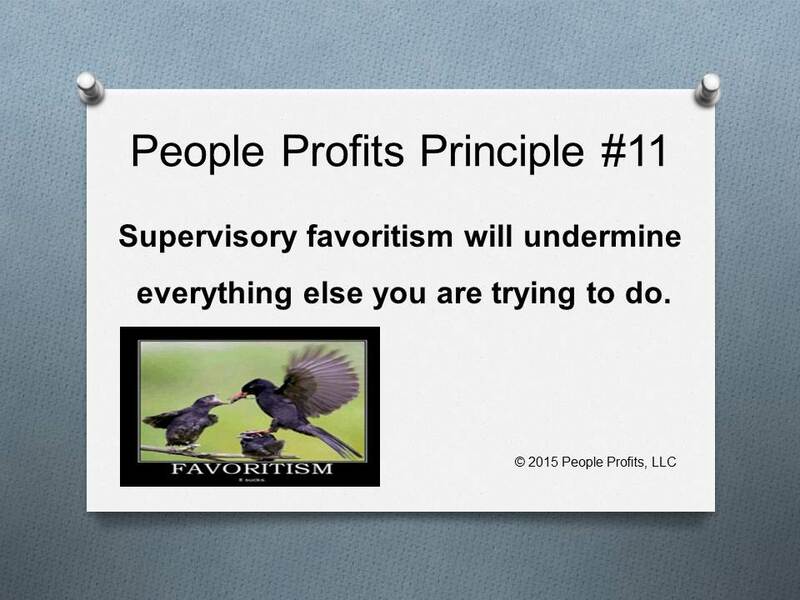 Supervisory favoritism will eat away at your employee brand and engagement. Your good employees will leave as they want to be rewarded for their results not on how they get along with the supervisor. Bad employees will play the game - results will suffer. It is the function of HR to confirm that evaluations are being done fairly and based on objective evidence as much as possible.